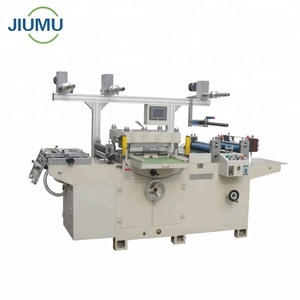 Jiu Mu Machinery (Kunshan) Co., Ltd.
Wenzhou Guangya Machinery Co., Ltd.
2. We focus on customer service, all year non-stop service, personal training and so on. Q: What should I do if I buy your company's machine in case anything goes wrong9 3). Q: If I want to buy your company's machines, can I do a field trip to your company9 5). Ruian Heng Gong Package Machinery Co., Ltd.
Electric Small Roller Press Die Cutter 20"
Kunshan Xinmanyuan Hardware Machinery Co., Ltd.
XMY-320B high accuracy roller die cutter Characteristics of roller die cutter Thistype is a complete set of equipment for full automatic roll trademark printing machine and roll die cutting machine. 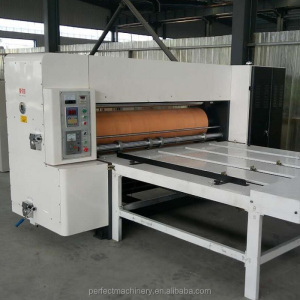 Recording Paper number import electric eye , So it is of tight construction and is characterized by quickness, accurate slitting ease of operation and stable firm running. Main Technical Variables of roller die cutter Max web width 320mm Max putting diameter 7 00mm Max. Zhejiang Dayuan Machinery Co., Ltd.
Zhengzhou Allraise Imp & Exp Co., Ltd.
Shenzhen XPX Machinery Equipment Co., Ltd.
Dongguang County Huayu Carton Machinery Co., Ltd.
Shanghai Daicheng Industrial Co., Ltd. It is converted from usual cutting machine by using the rotary or roller which enhance the auto feeding system and cutting speed. 4. Our engineers are available to service machinery overseas. 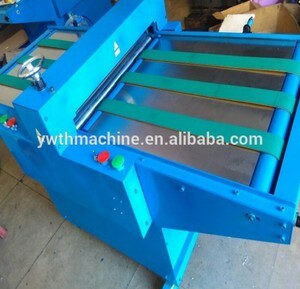 3)Can we test the our material by your machine free9 Yes, please contact us to send your matrial. Shenzhen Bascocut Technology Co., Ltd.
Shenyang Jiahua De-Long Science Technology Co., Ltd.
4.Infared locator for contour cutting function. 4.Infared locator for contour cutting function. 5.High precision stainless steel axies,no sliping even when cut 3m materials ! Dongguang Zhizhen Pack Machinery Co., Ltd.
Shijiazhuang DLoyals Science and Technology Co., Ltd. 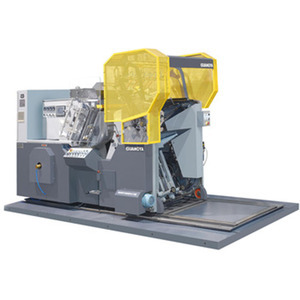 The main machine and frame adopt the advanced resin sand technical, which ensures machine be more stable. 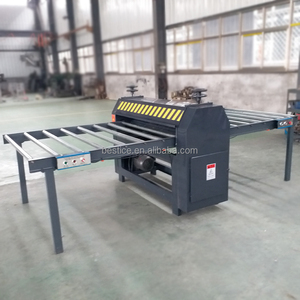 The machine equipment adopts high precision color photo-electrical automatic trace detection, servo motor automatic locating system. 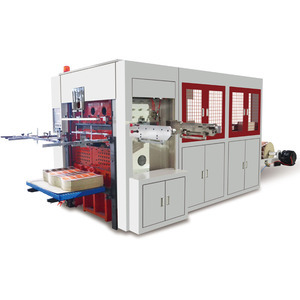 , Ltd is a professional manufacturer of hot foil stamping and die cutting machine since 1997. We are a R&D, manufacture, sales of post-press equipment. 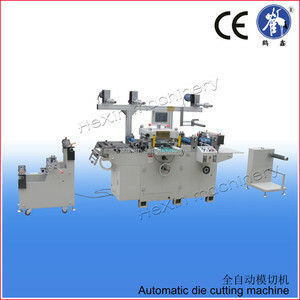 Hangzhou Colon Digital Technology Co., Ltd.
Alibaba.com offers 927 roller die cutter products. About 23% of these are paper processing machinery, 5% are moulds, and 1% are graph plotter. 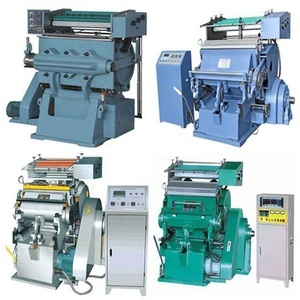 A wide variety of roller die cutter options are available to you, such as die-cutting machine, paper cutting machine, and slitting rewinder. You can also choose from yes, no. As well as from free samples. There are 931 roller die cutter suppliers, mainly located in Asia. The top supplying countries are China (Mainland), India, and Poland, which supply 99%, 1%, and 1% of roller die cutter respectively. Roller die cutter products are most popular in Southeast Asia, Domestic Market, and Mid East. You can ensure product safety by selecting from certified suppliers, including 82 with ISO9001, 40 with Other, and 3 with BSCI certification.